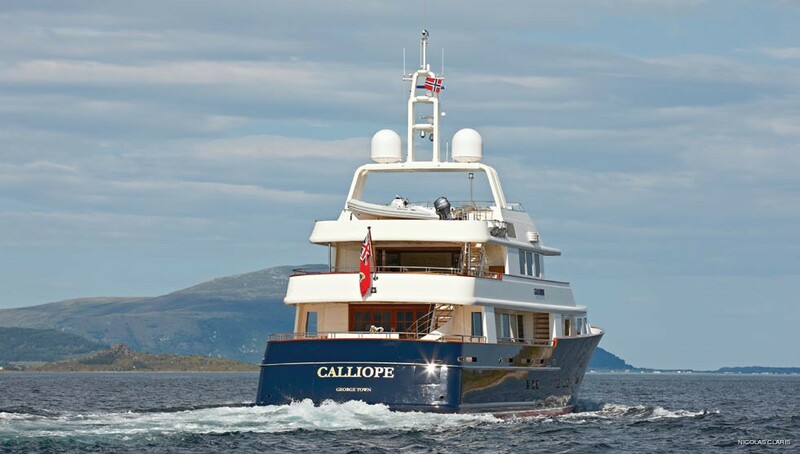 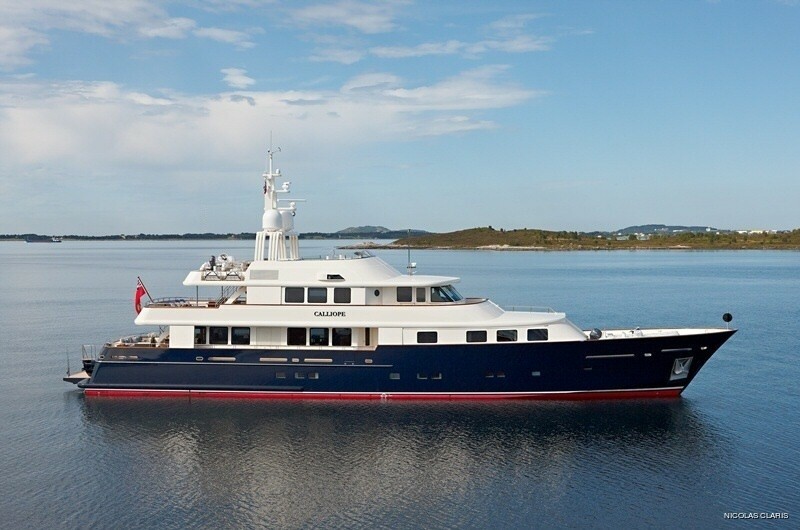 Motor Yacht NINKASI (ex Calliope) is a 42 metre Holland Jachtbouw built vessel launched in 2010. 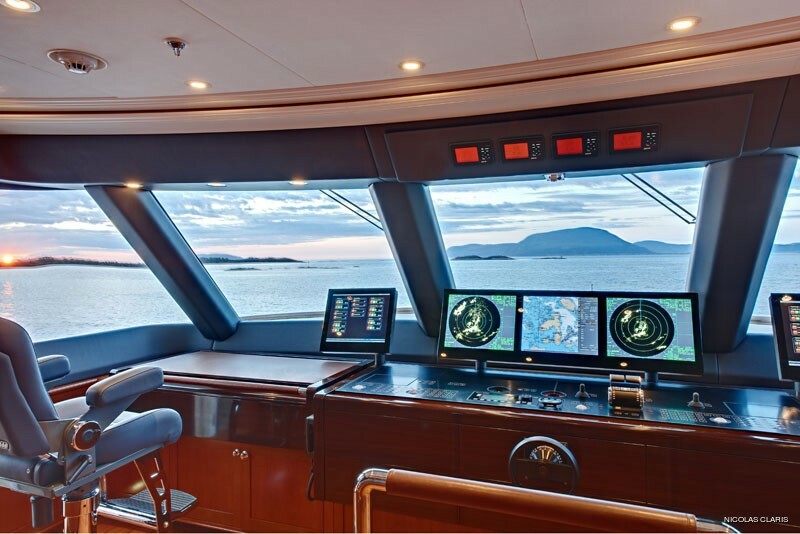 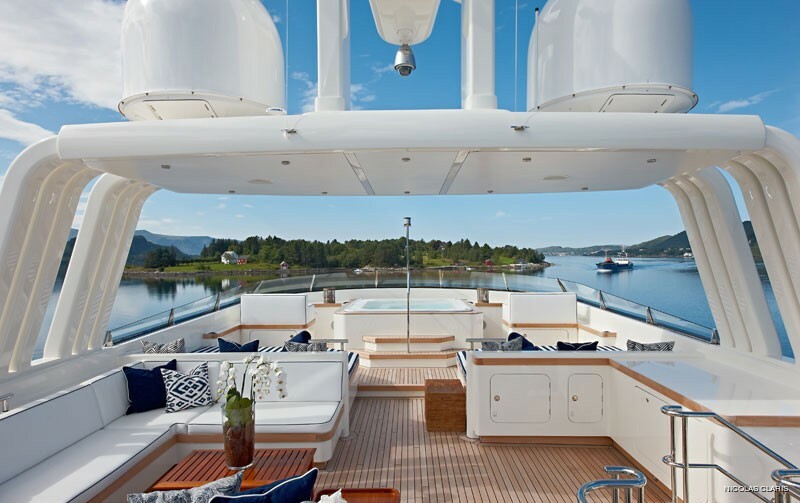 Charter Yacht NINKASI, know also as project CII, is a semi-displacement luxury yacht designed by Langan Design Associates and Rhoades Young for interior design. 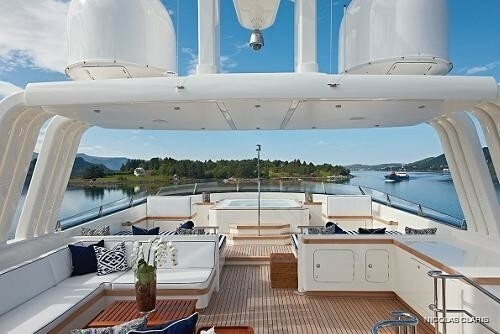 Yacht NINKASI is an all aluminium gentlemen's yacht comfort as well as immaculate style. 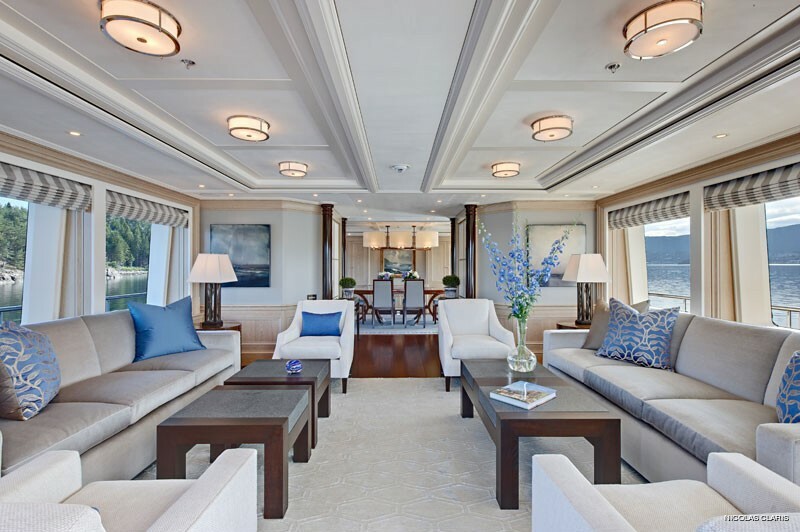 Her interior can be described as modern-classic and is finished with weathered limed oak, which contrasts elegant classical architecture incorporating modern furniture. 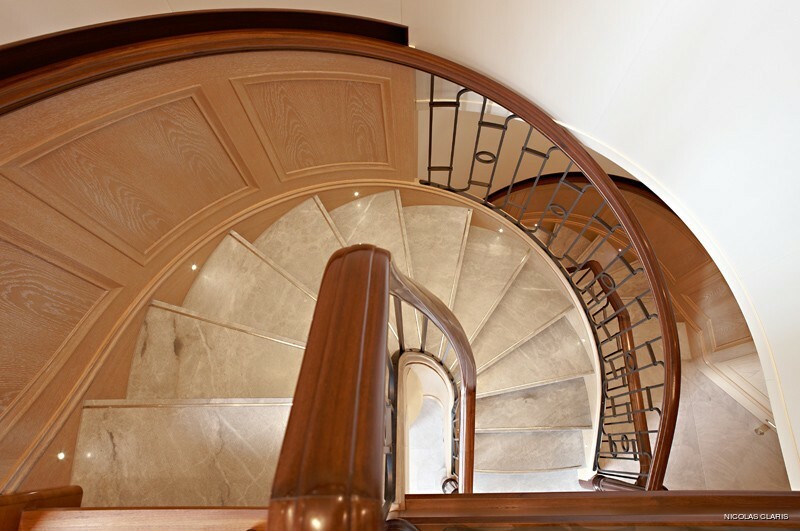 One of her main features is the offset spiral staircase dynamically connecting NINKASI's three decks. 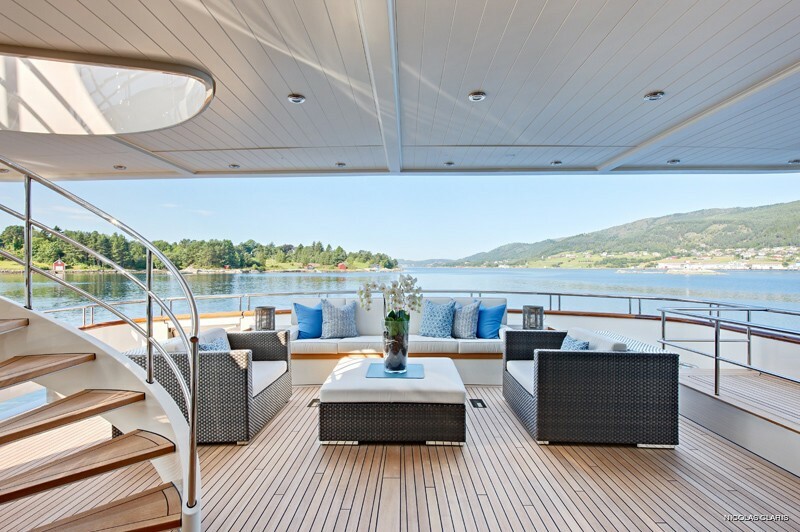 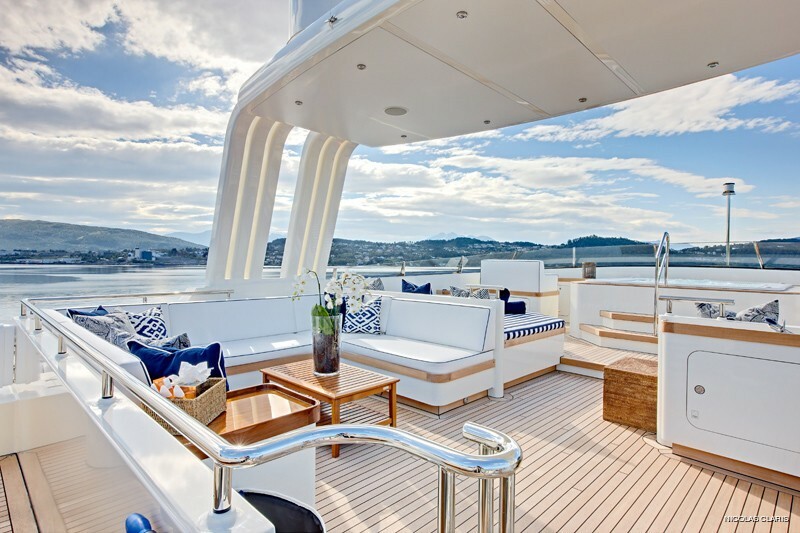 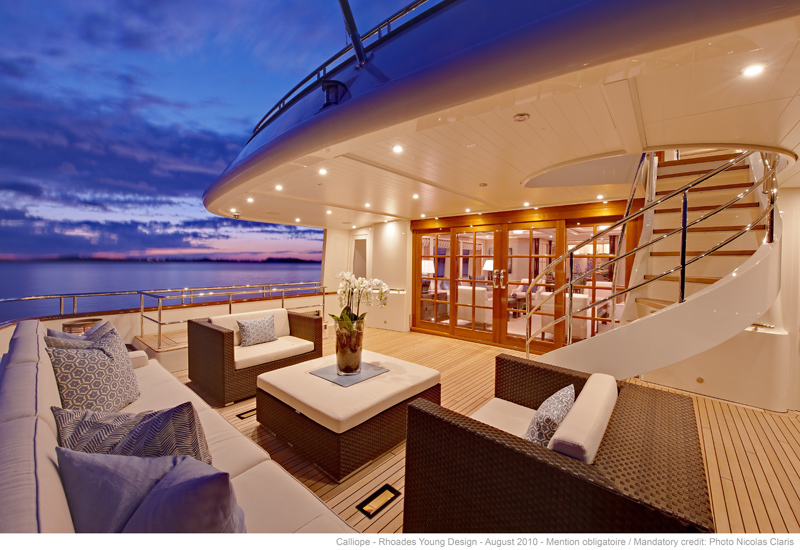 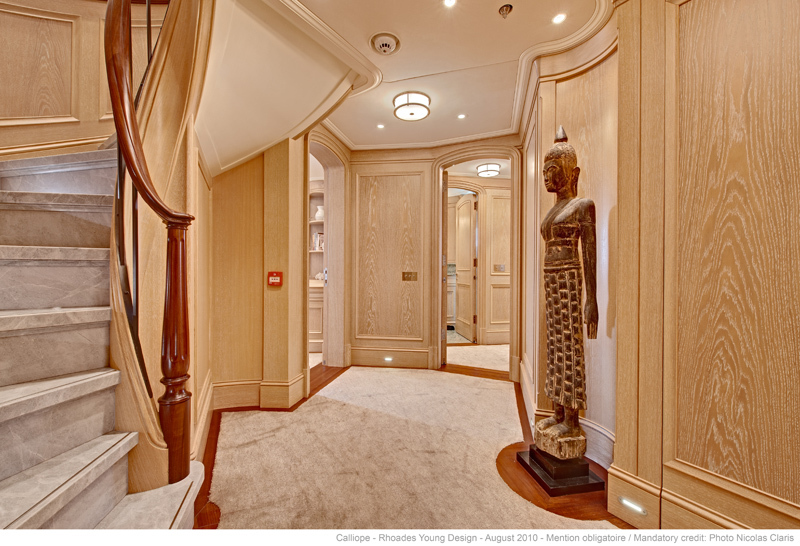 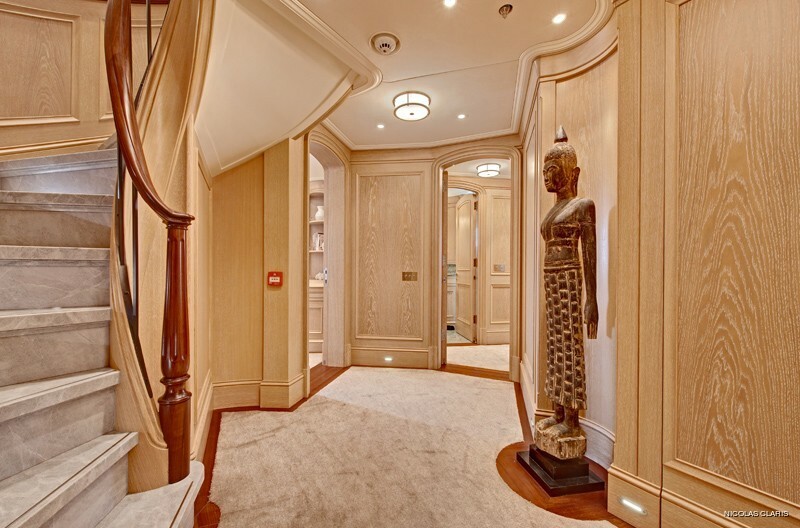 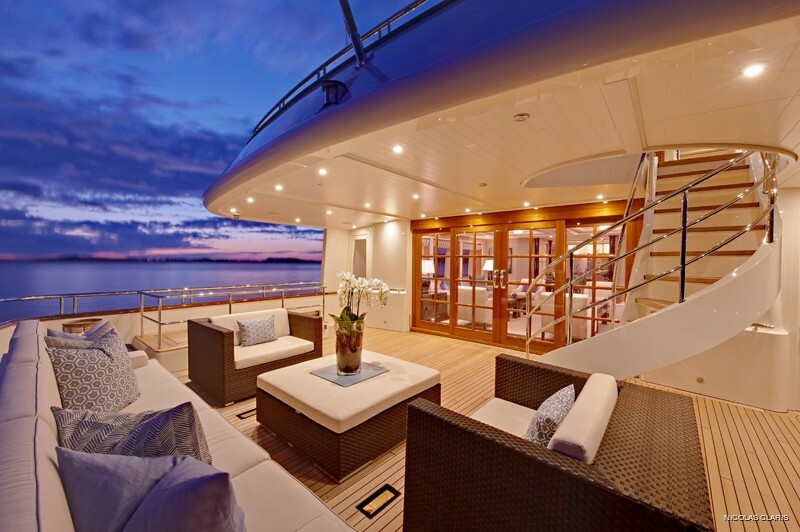 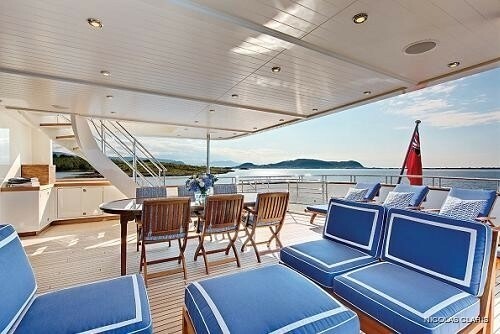 Panoramic views up through the sweeping underside of the steps make this a striking centrepiece to the yacht. 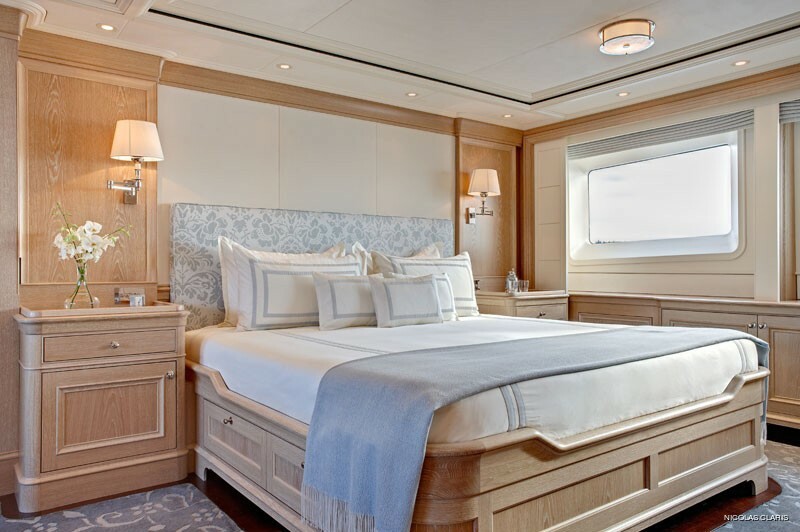 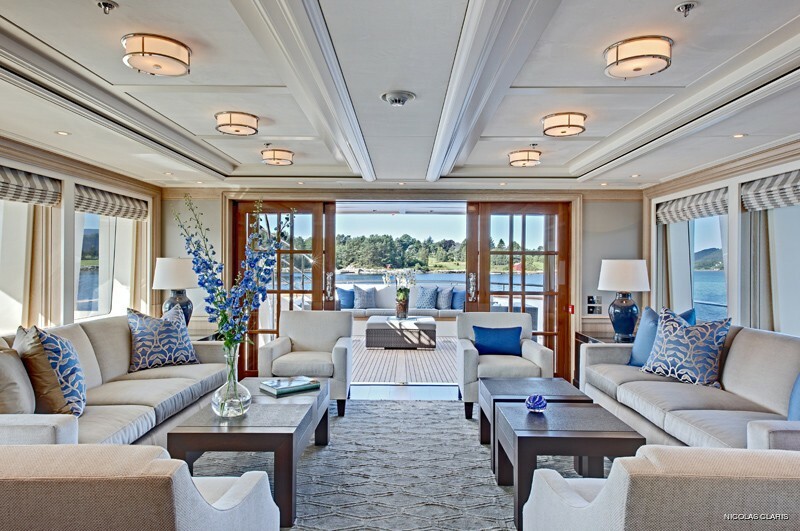 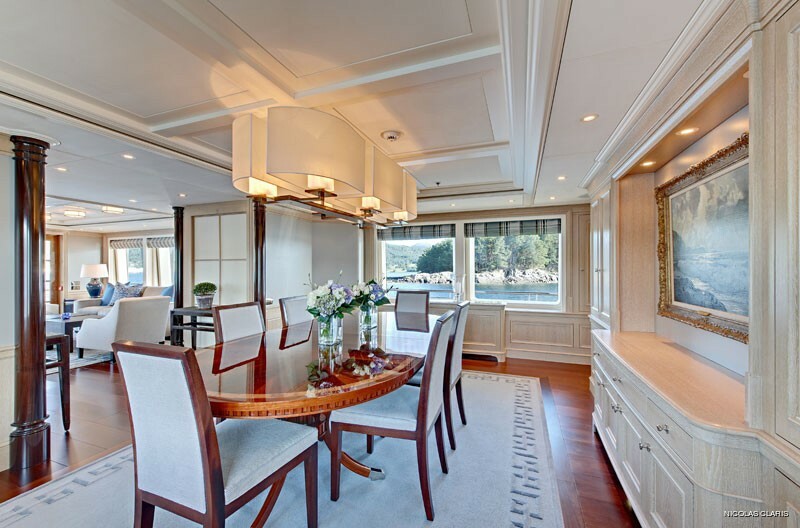 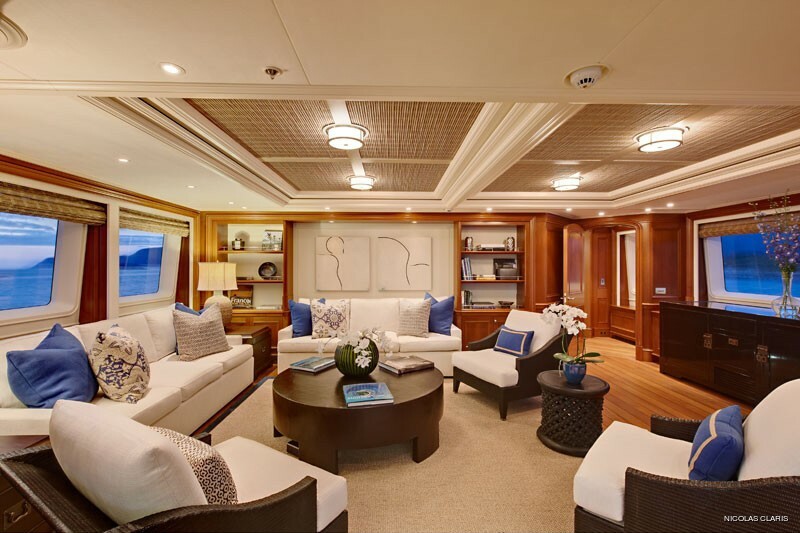 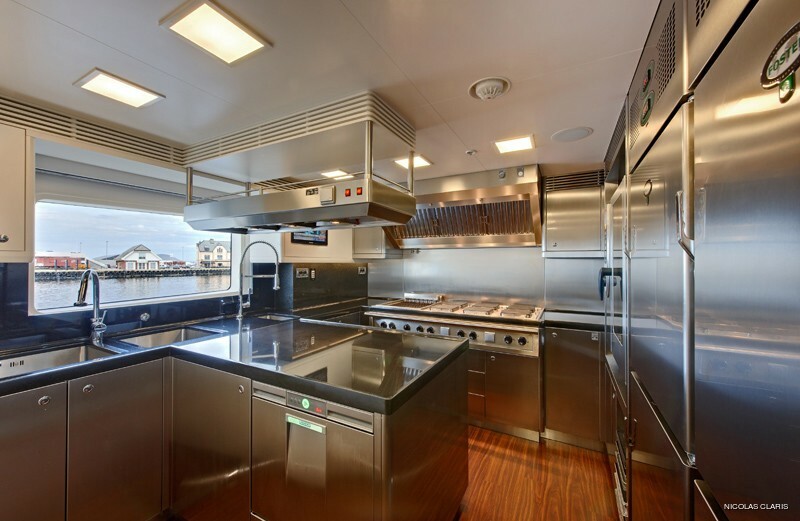 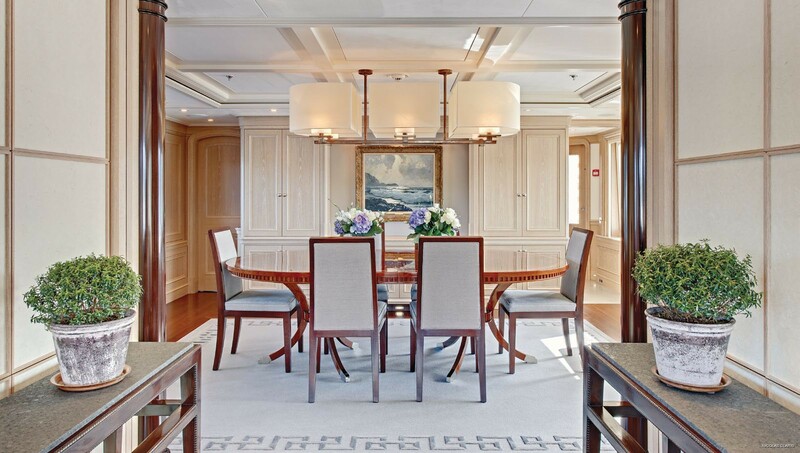 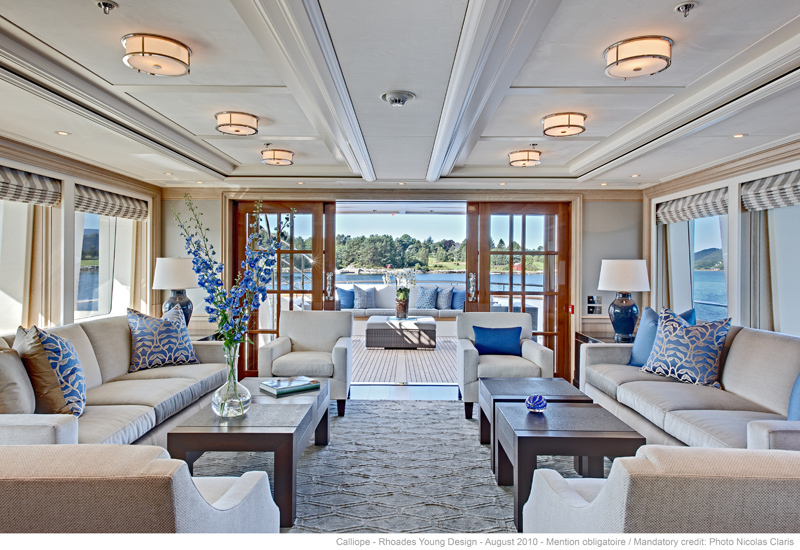 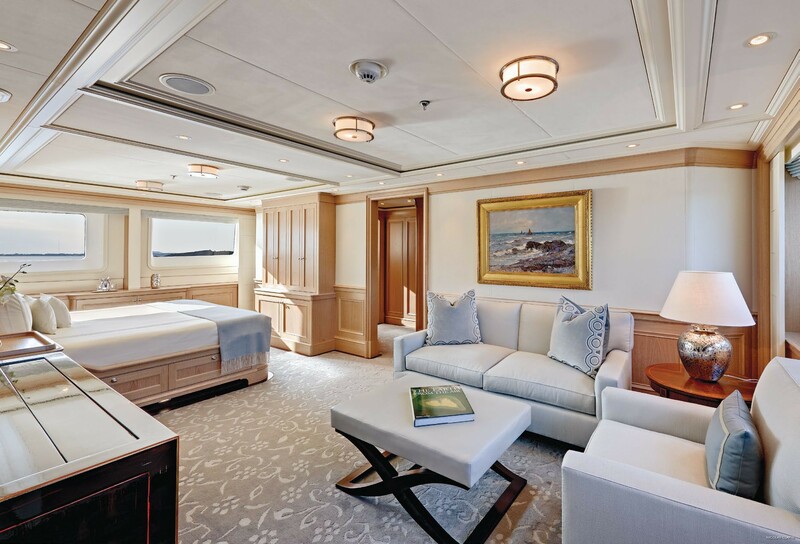 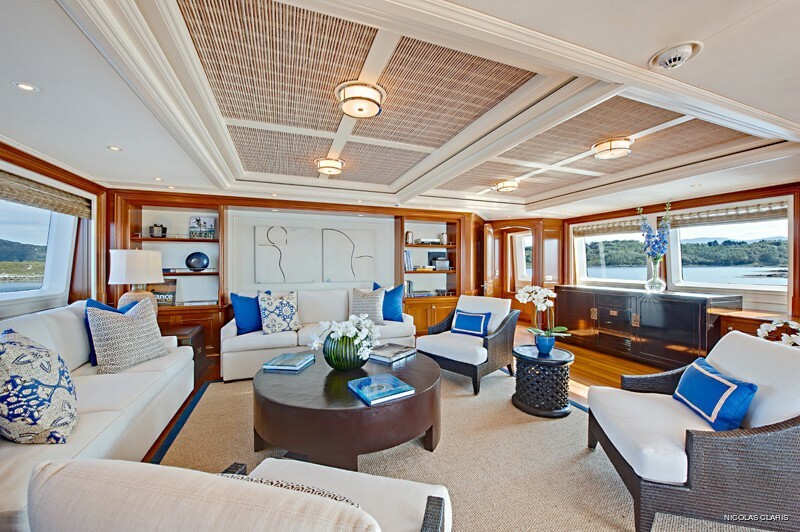 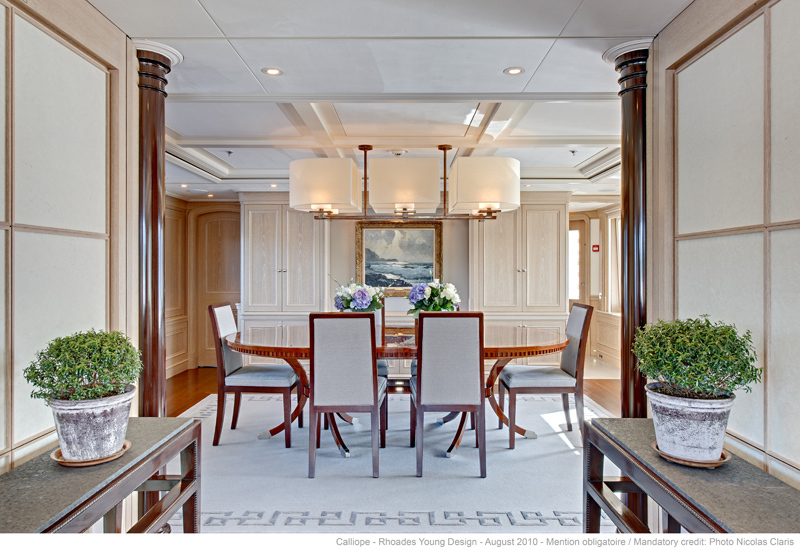 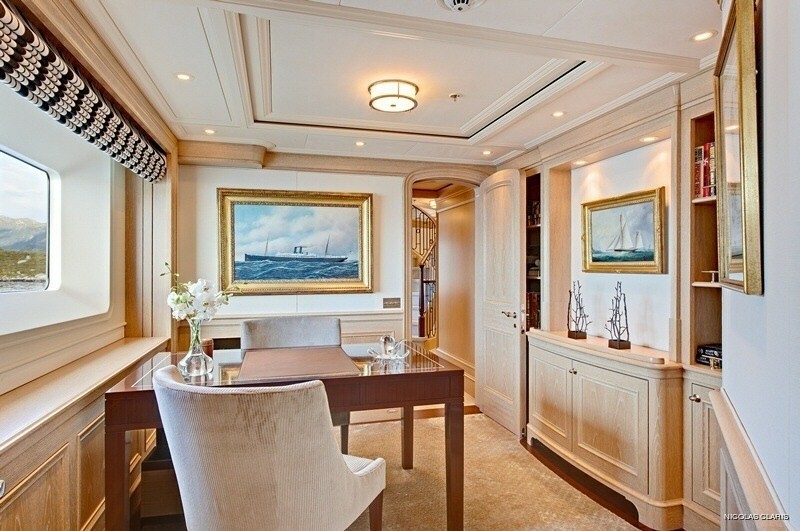 Her interior spaces of the luxury charter Yacht NINKASI designed by Rhoades Young include a relaxed lounge and dining area on the main deck, divided on demand by a hidden shoji screen, when intimate dining is required. 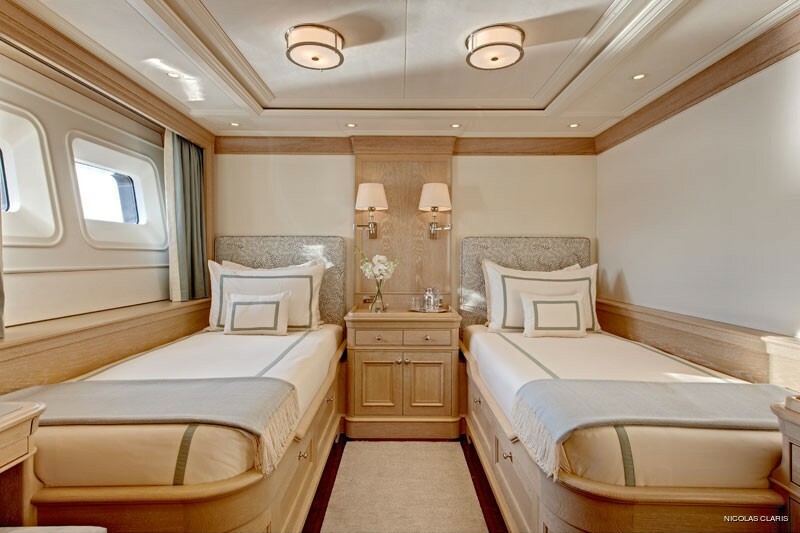 The Owners' cabin includes a private library, full beam lounge and his & her bathrooms with dressing rooms. 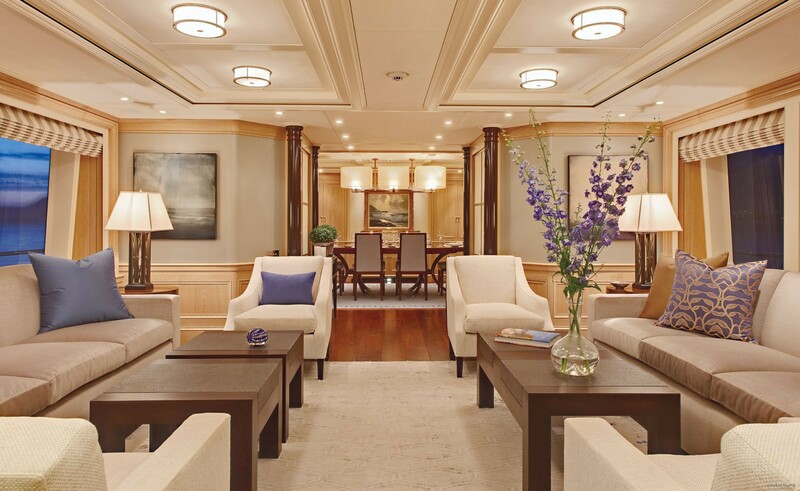 This stunning are is flooded with natural light and has strong visual connection with the outside world. 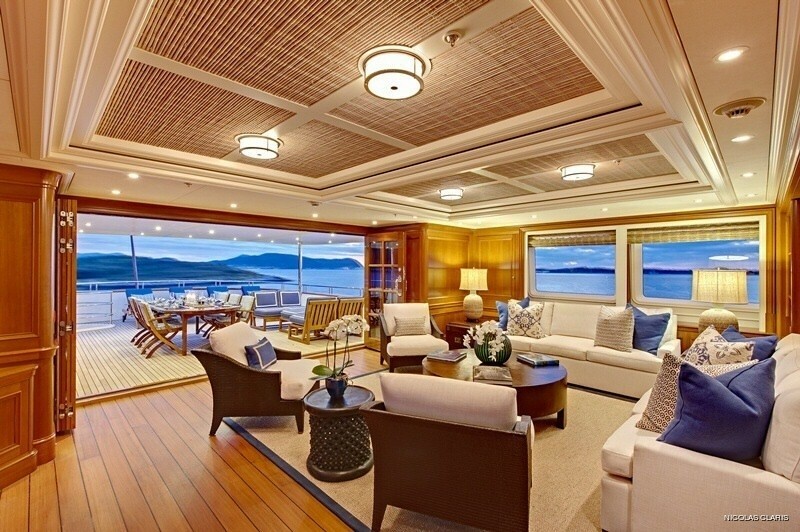 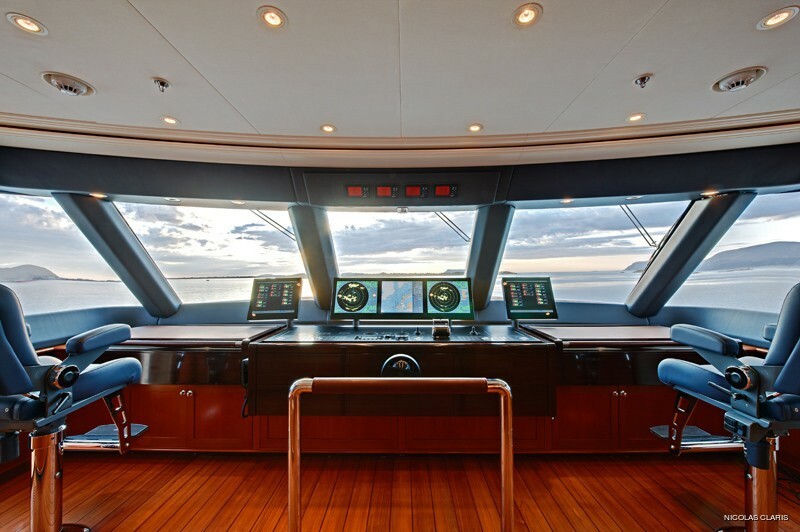 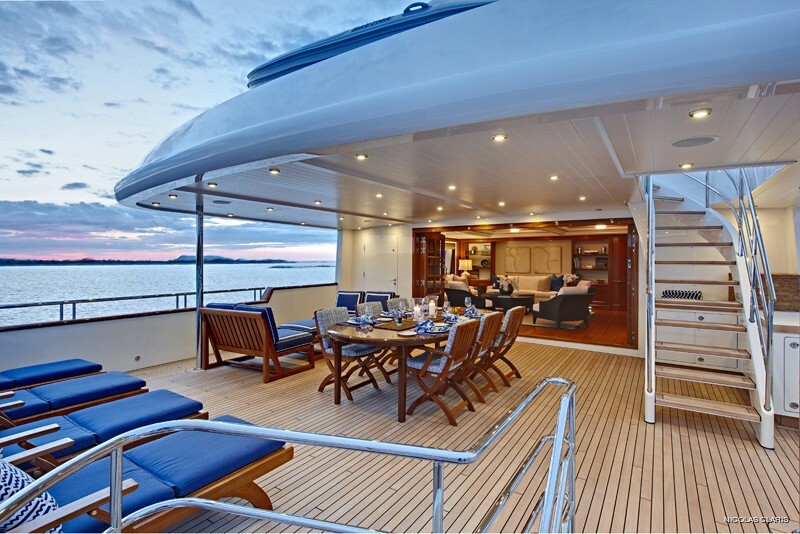 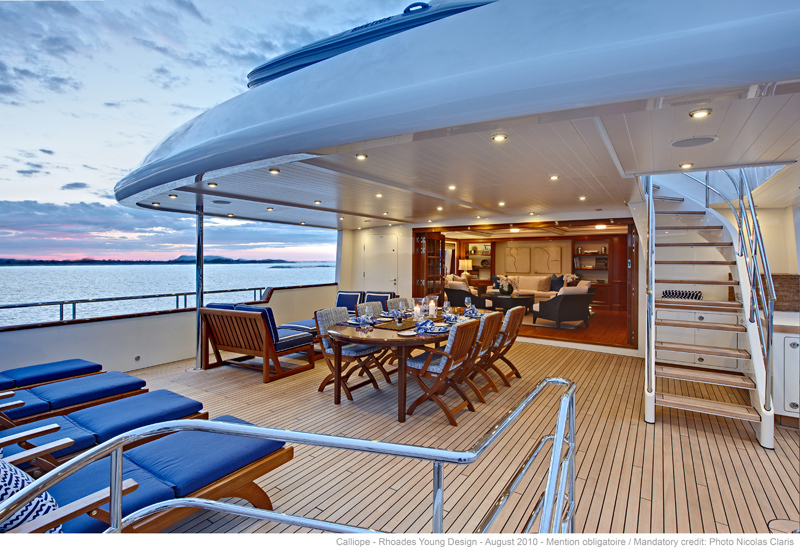 Predominantly teak has been used on the bridge deck, with the sky lounge making the most of the full beam. 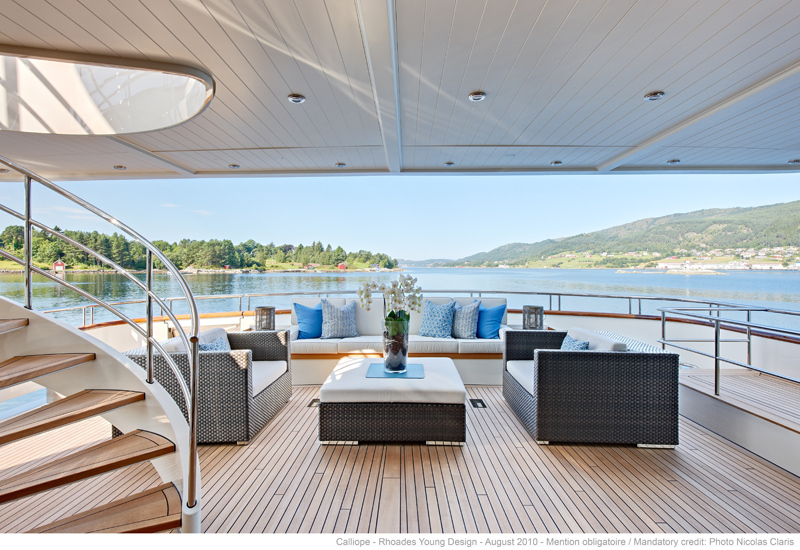 The entire aft deck and saloon blend into one inside-out cone, thanks to the large sliding doors that open to the aft deck. 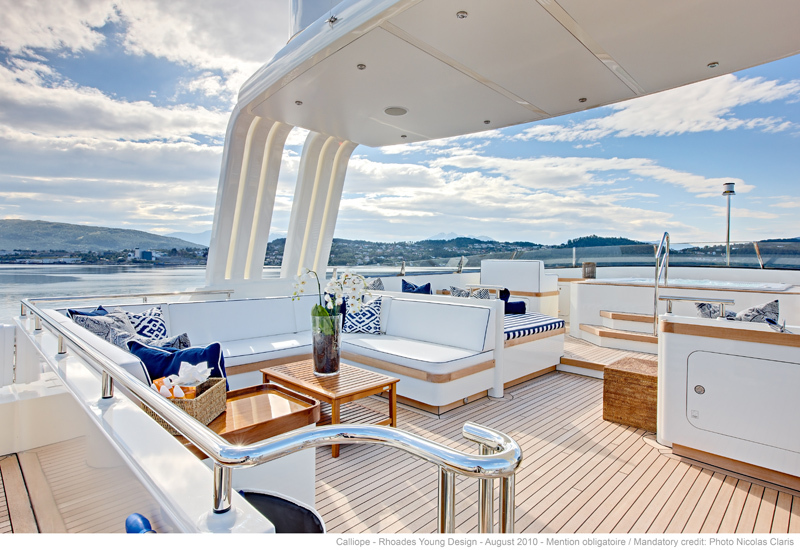 This area is ideal for informal leisure at anchor. 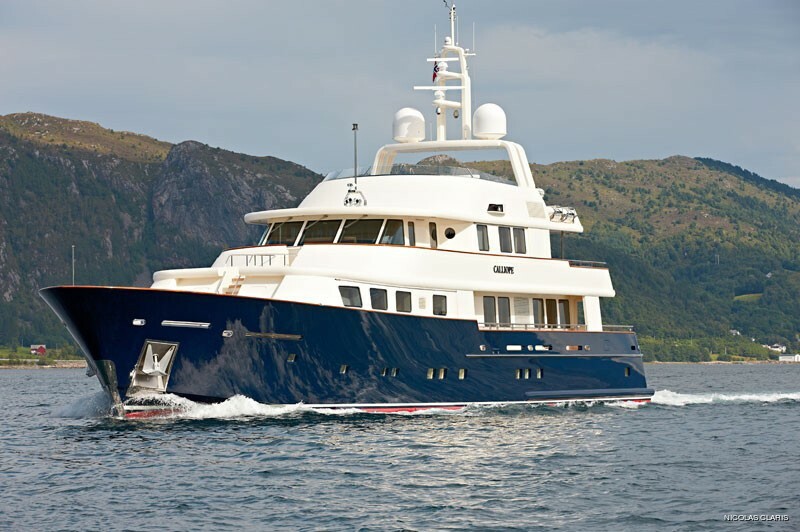 Holland Jachtbouw yacht NINKASI can accommodate up to 10 charter guests in 5 luxury staterooms and has a crew of 9 professionals. 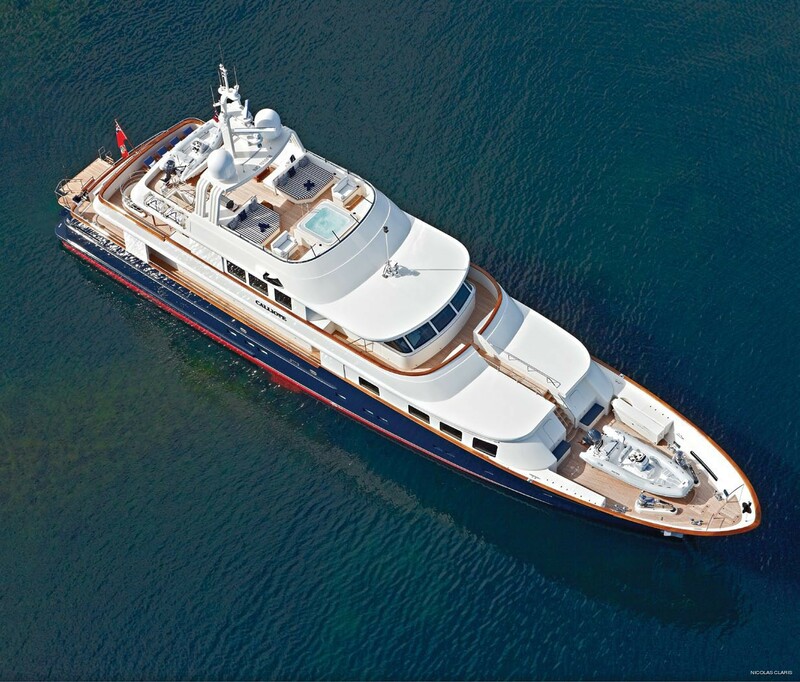 She is powered by twin diesel engines of 1,924 hp (1,435 kW) to a maximum power of 16.5 knots and a cruising speed of 15 knots. 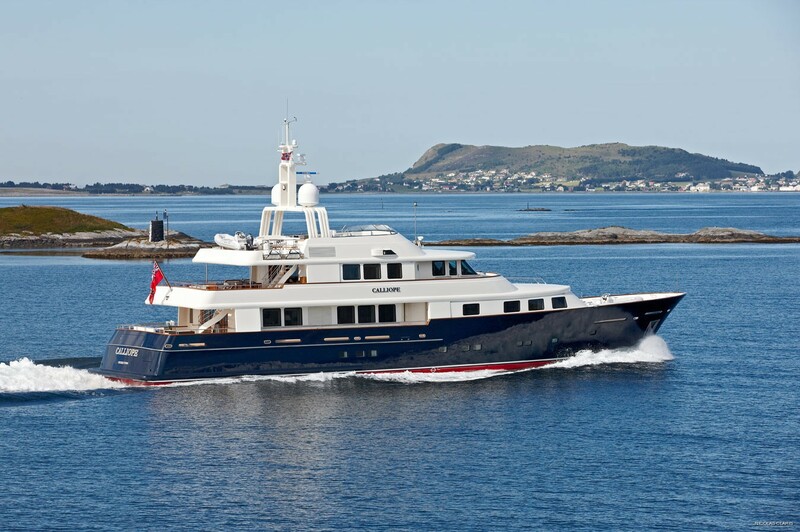 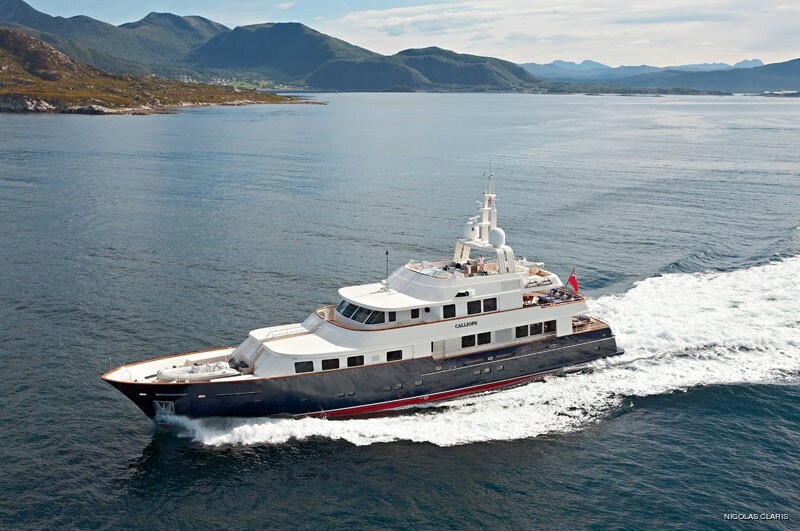 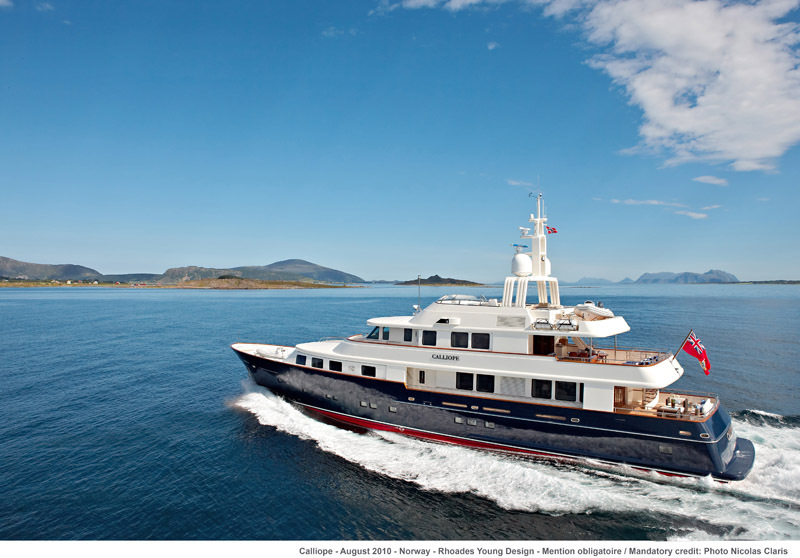 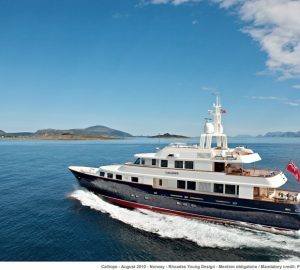 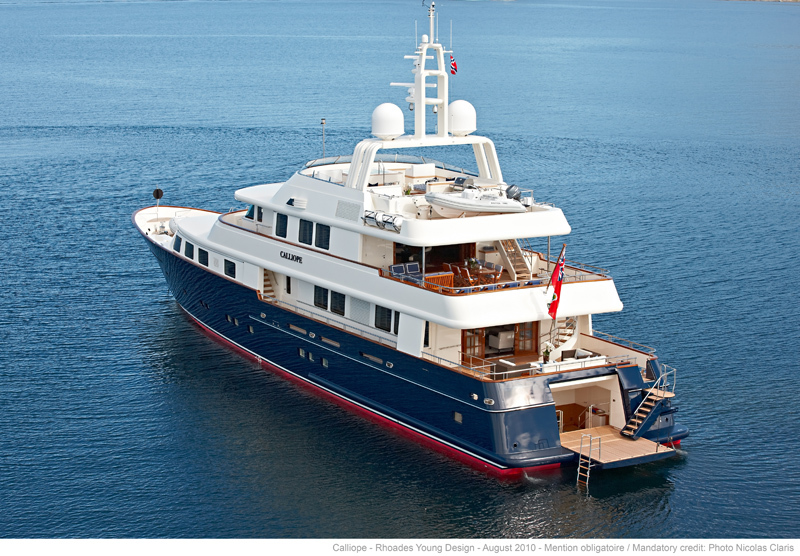 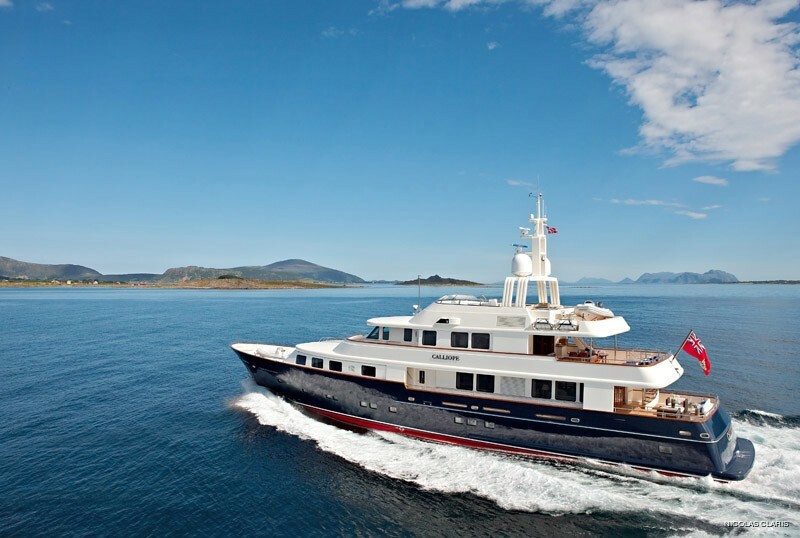 Superyacht NINKASI was designed and built to Lloyds and MCA classification. 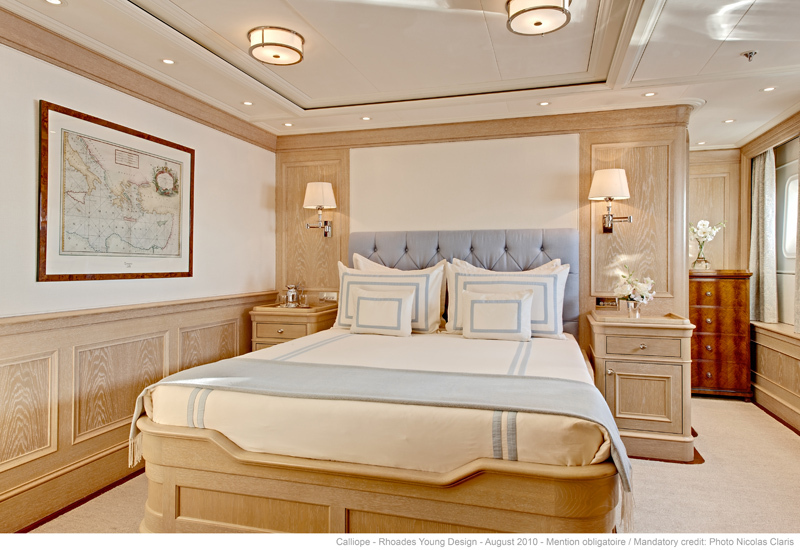 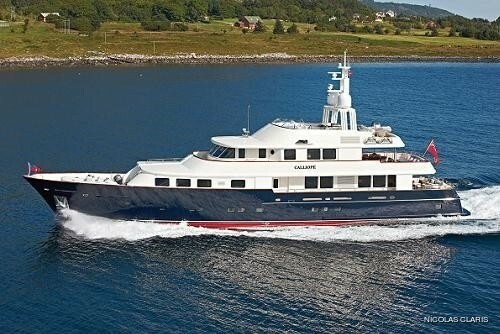 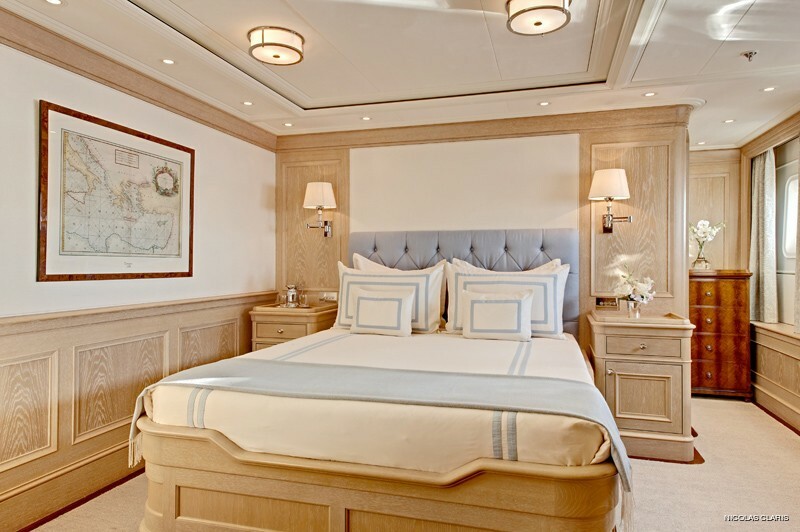 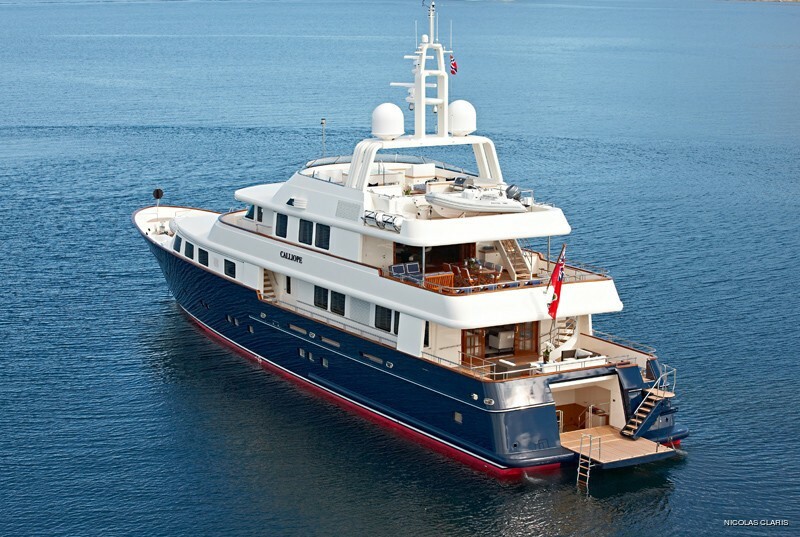 Holland Jachtbouw yacht NINKASI can accommodate up to 10 guests in 5 luxury staterooms and has a crew of 9 professionals. 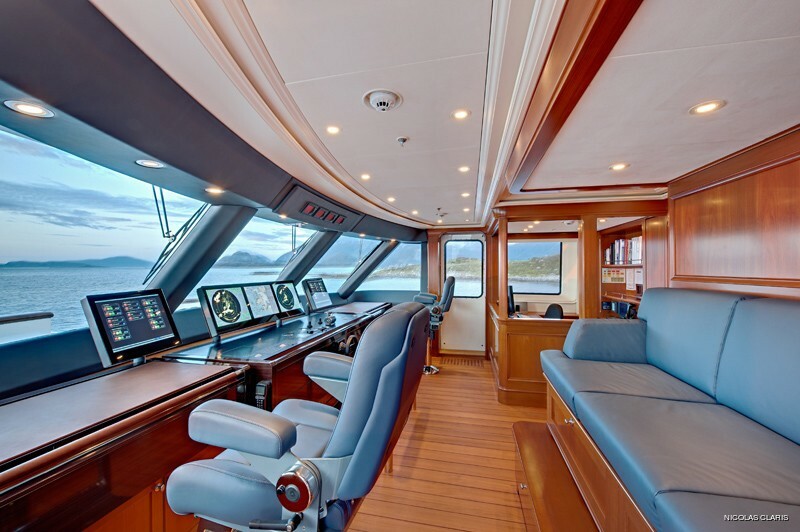 Luxury Motor Yacht NINKASI has the following tenders + toys: Nautica RIB 18' widebody with 115hp outboard, Nautica RIB 13.5' widebody with 60hp outboard, Water skis, Wakeboard, Donuts, 5-man Banana, 2x Sea-scooters (underwater propelling units for diving and snorkeling), 4x Inflatable Kayaks, Snorkeling gear, 2x Mountain bikes, Treadmill, Gym equipment, Spa Pool, Barbecue. 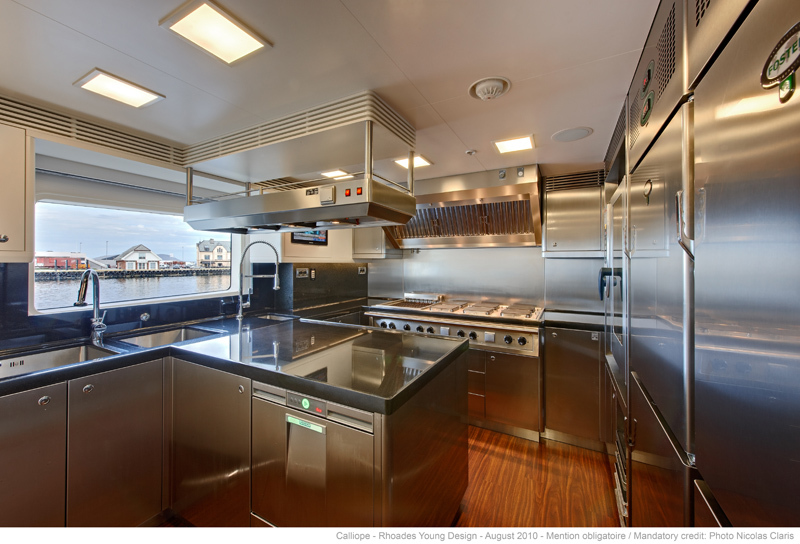 Audio visual facilities are also available throughout as is WIFI internet.